Is there a better alternative to OneWaySync? 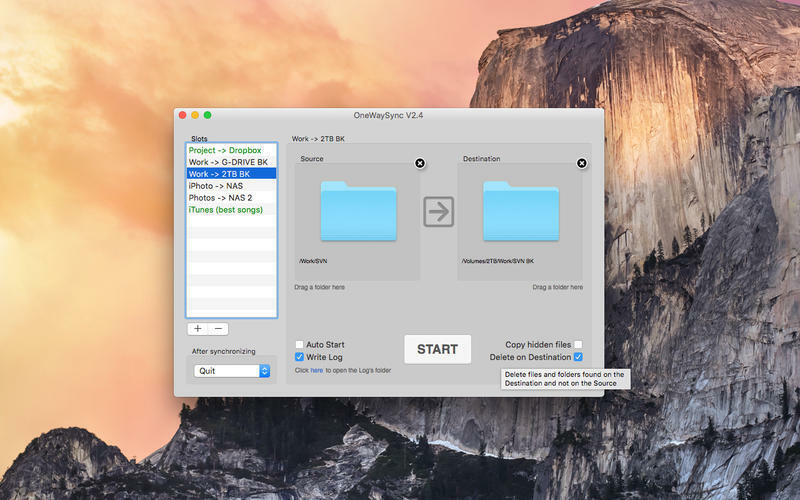 Is OneWaySync really the best app in File Management category? Will OneWaySync work good on macOS 10.13.4? Create backups (mirrors) of 10 preconfigured folders. OneWaySync needs a rating. Be the first to rate this app and get the discussion started! 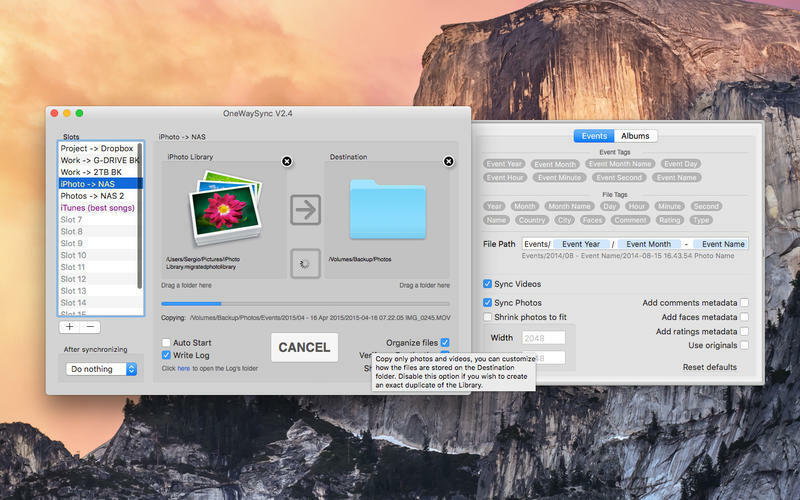 Option to delete files on the destination that no longer exist on the source folder. 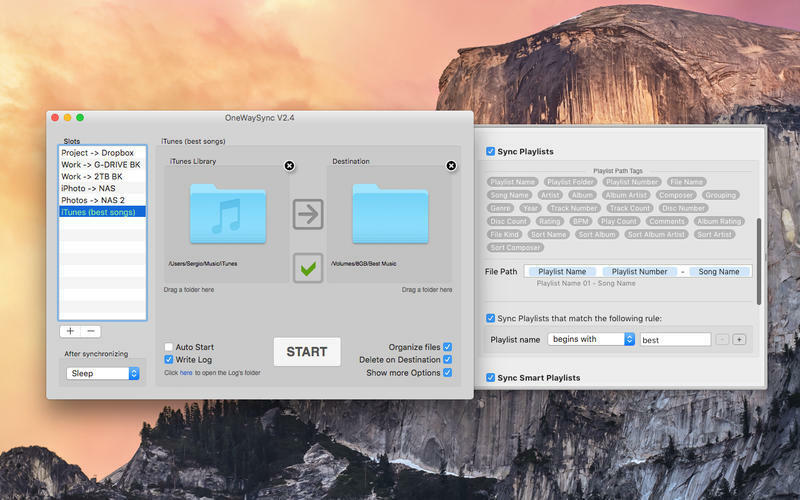 Option to copy hidden files and directories. Option to start copying as soon as the tool is executed. (useful for creating schedules to run this tool from iCal for example). Option to write on log files all the operations perform during the synchronizations. Safely cancel synchronization at any time. Mix 2 or more folders by setting the same destination on different slots and turning off "Delete on Destination". Follow folders in case the name or location has changed.